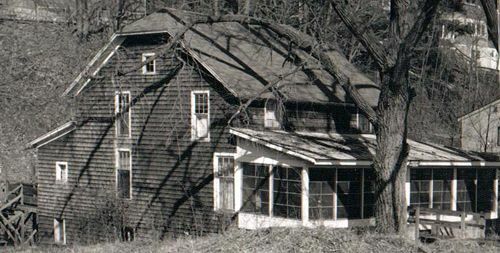 Additions: Too numerous to catalogue. 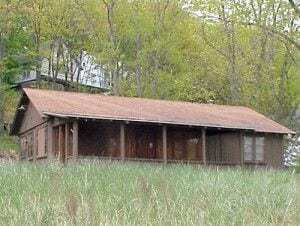 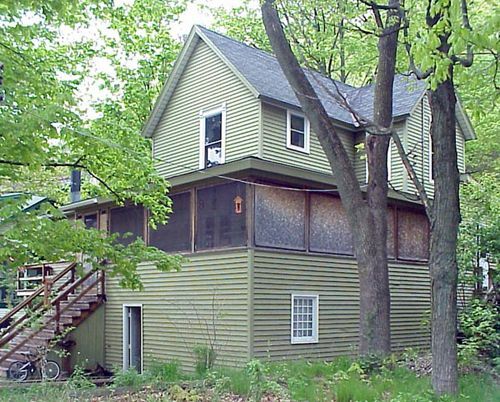 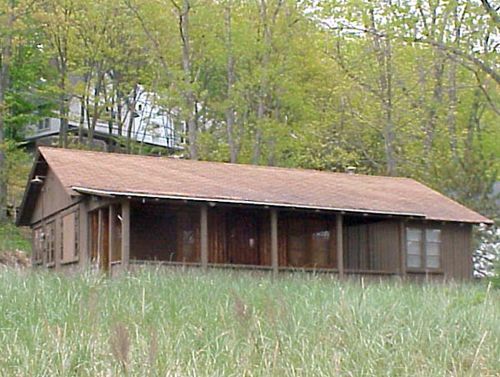 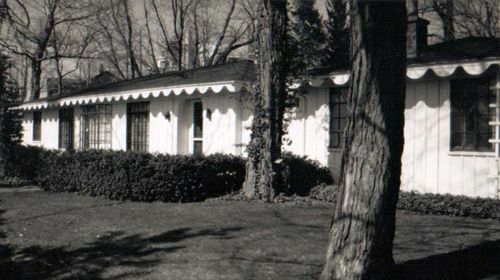 Following WWII, the brothers Thomas, Richard, James and Gerald R. Ford built this simple faux-log cabin cottage on a concrete slab on the site of a cottage which had been destroyed in the fire of 1910. 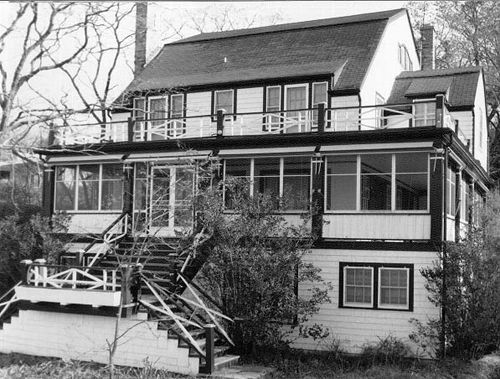 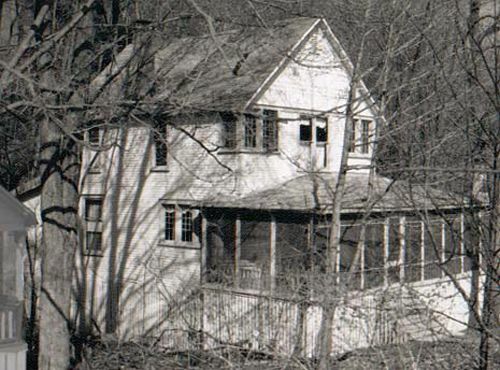 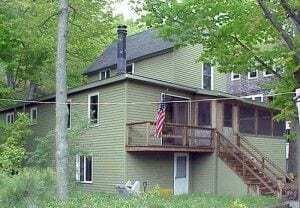 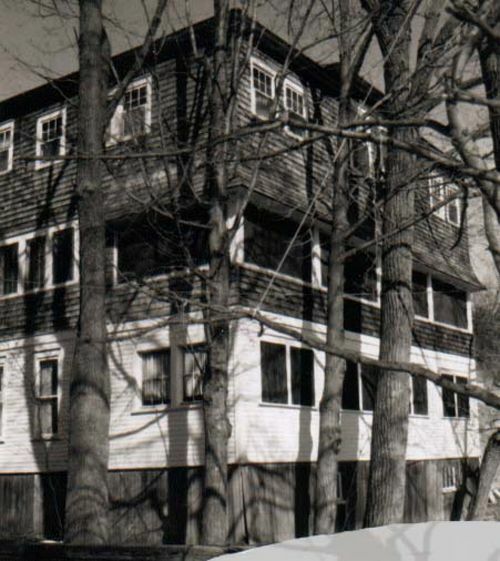 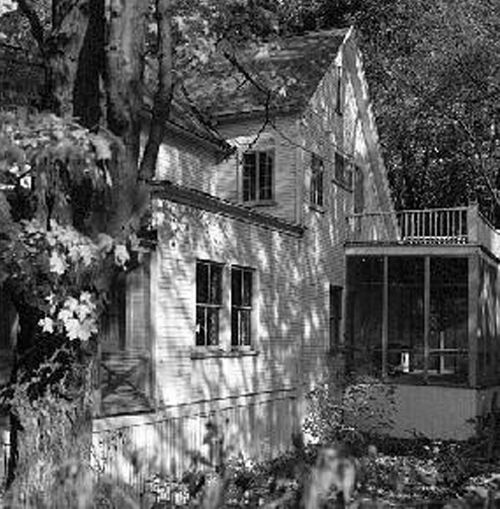 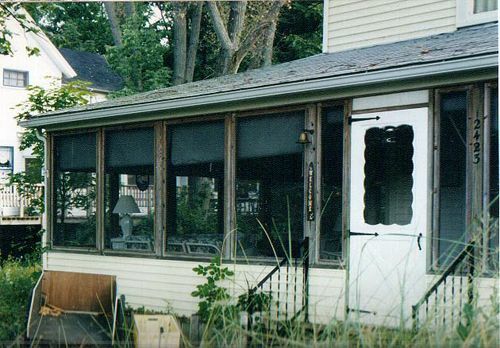 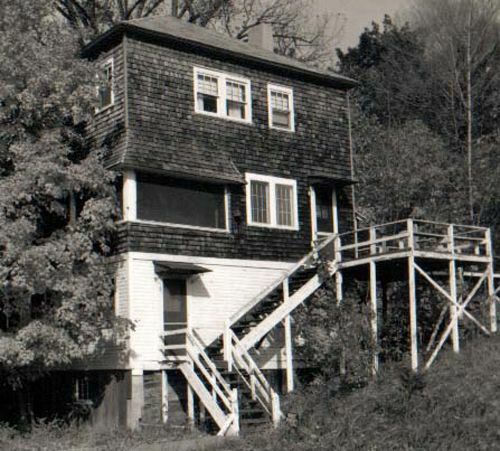 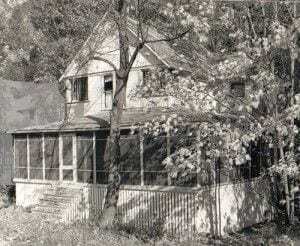 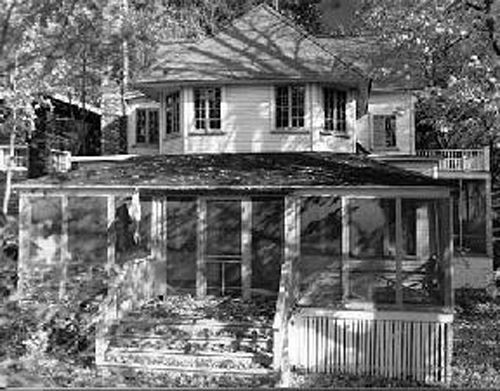 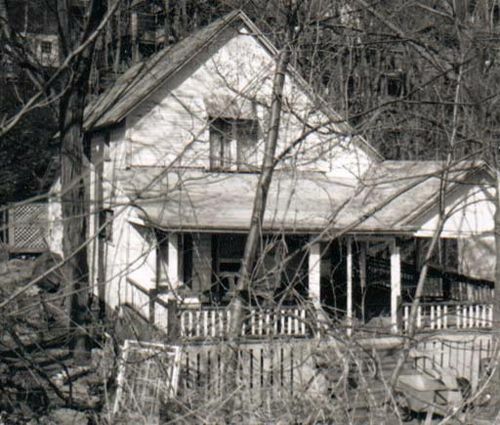 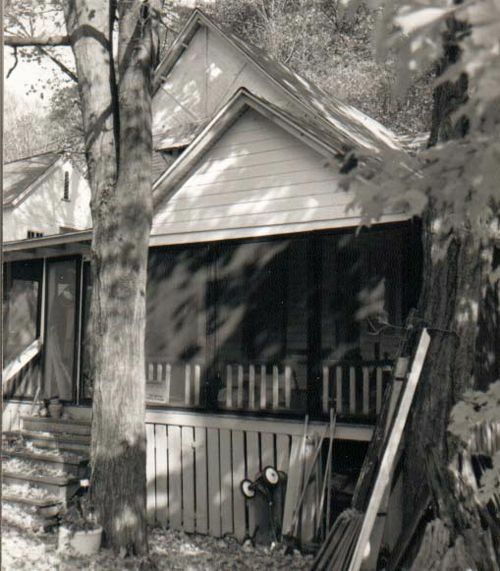 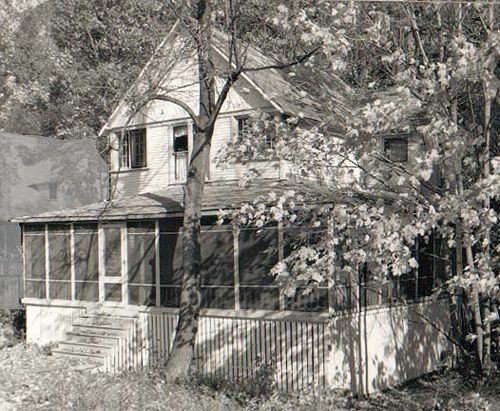 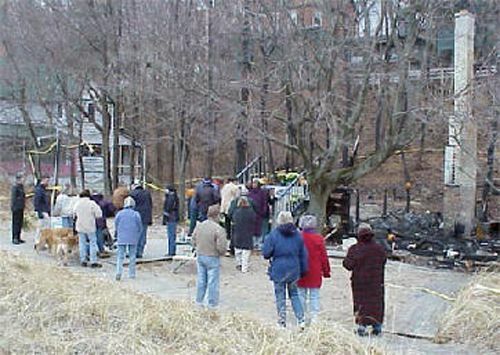 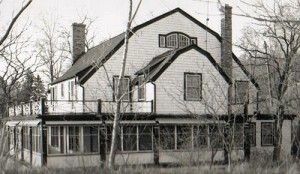 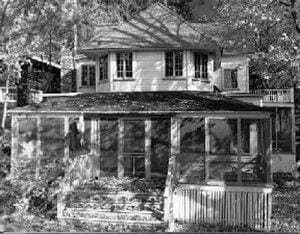 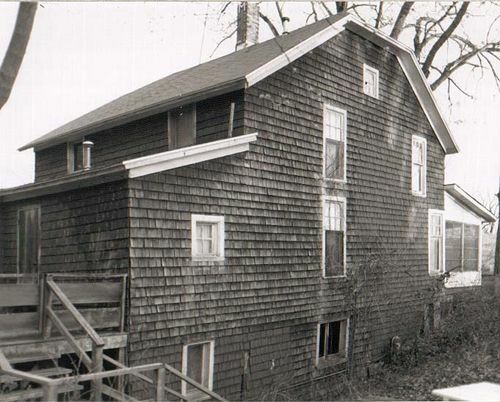 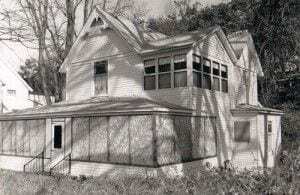 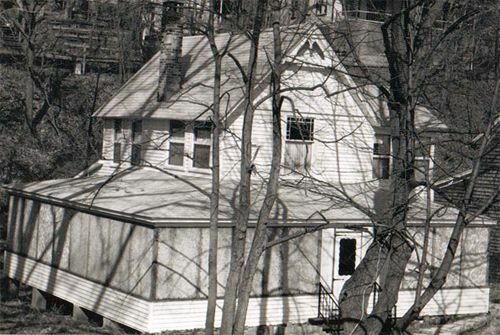 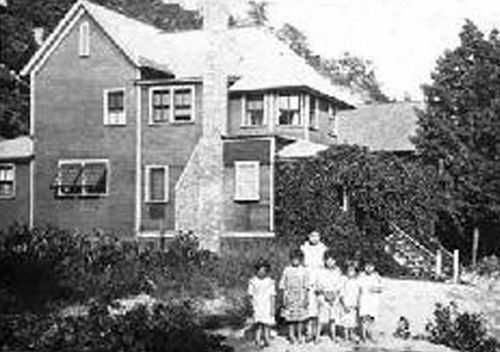 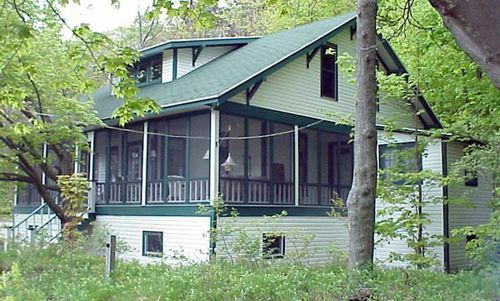 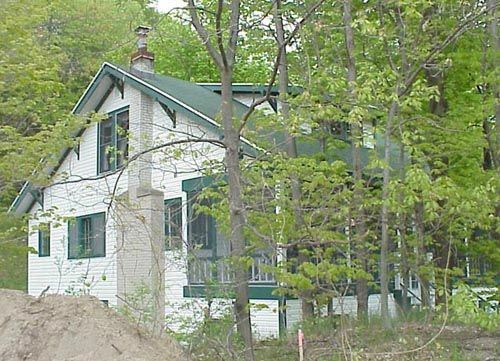 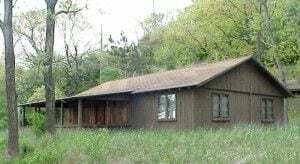 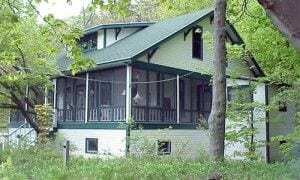 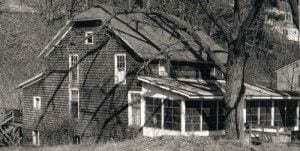 The Ford brothers and their families shared the cottage until the early 1960’s when it was sold to the current owners. 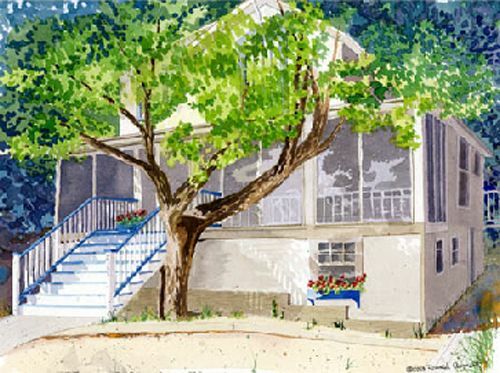 This watercolor of the cottage was formally presented to the current owner and her family at the 2003 Labor Day picnic. 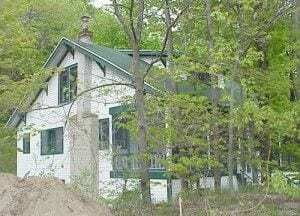 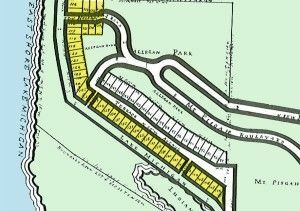 Information about the ownership of this cottage between the years 1886 and 1936 is currently unavailable.